Forget Indonesia, forget China – it’s Vietnam that is emerging as the one to watch in Asia. 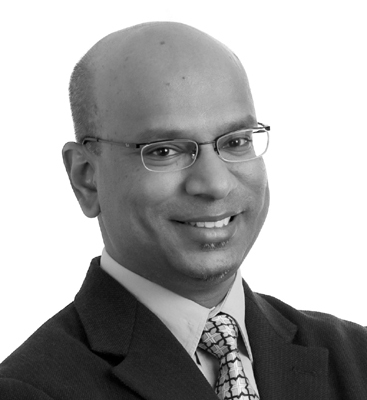 Following our recent webinar on doing business in the country, Suresh G Kumar, Vietnam Managing Director for TMF Group, a global outsourced business services provider, looks at the growing presence of Vietnam as a serious investment opportunity. Between the BRICs and the MINTs and MISTs and all the other acronyms, the world’s emerging economies have been firmly on the agenda for more than a decade. The word on everyone’s lips: globalisation. Asia presents rich pickings for those with a truly global approach in mind. The economists have told us that China and Indonesia are your best post-millennial bets; Japan has been a target for years. But Asia is large, and the opportunities are vast. Where do you go first? Presented for your consideration: Vietnam. 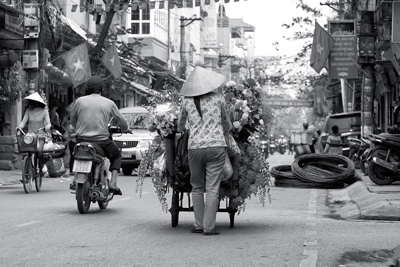 Vietnam has come a long way since the famed Fall of Saigon in 1975. The socialist government started to open its doors to the world in 1986, but it wasn’t until 2007, when it joined the World Trade Organisation, that Vietnam emerged as a serious prospect. The growth has been phenomenal, with the economy expanding at an average rate of 6.5% per annum over the last decade driven largely by the emerging private sector. That, of course, has brought with it some challenges, the biggest of all being extremely high inflation – it tipped 23% in 2008, though with the government rebalancing the economy and looking at GDP growth it is now a much more manageable 5.5% YoY. The market has needed to modernise, and still is in that process. State owned enterprises are in some cases listing on the fairly new Vietnam stock exchange, which is also attracting some major entrepreneurial companies. It was the shift from agriculture to manufacturing, together with an expanding labour pool – 60% of the country is under 30 years of age – contributed to two-thirds of Vietnam’s GDP growth from 2005 to 2010, estimates the McKinsey Global Institute, with the other third coming from improvements in productivity. That growing labour market – 1.6m new jobs are needed every year – is largely unskilled, though literate. Many companies find that Vietnamese workers may be lacking in technical and practical skills, but they are diligent, eager to learn and wanting to grow. Education is important to the culture. McKinsey says that Vietnam needs to further develop its capabilities across all sectors of the economy, become increasingly versatile, and build on recent successes – that the economy needs to be an environment that encourages companies to continuously innovate. The government is certainly on board with that, its pro-business ideology evident from the WTO to its participation in various free trade agreement negotiations currently underway in ASEAN. Infrastructure development is among the biggest opportunities in Vietnam; its infrastructure, transportation and shipping is still in a fairly poor state. Other sectors to watch include ICT, mining, tourism, manufacturing, education and energy. There is a good combination of domestic demand and a myriad of incentives including tax breaks for the right sectors. Geographically, too, Vietnam is attractive: sharing a border with South China, it’s close to large hubs such as Hong Kong, Shenzhen and Guangzhou, making Vietnam a realistic alternative to the increasingly-costly China. It may not yet be part of an economic acronym, but Vietnam is definitely worth consideration, either as a base to streamline your global supply chain, or a new market for your business.